Long story short, we have a 200 year old violin that has been in my fam since probably new, and I just learned im going to inherit it. I have some time before I do so I would like to learn to repair the problems it has before I touch it. Took it to a respectable luthier who said it was worth 3k fully restored, but takes 2000 to 2500 to restore it or 1000 to get it decently playable. This includes replacing the finger board whicj has dents in it from use. Totally not going to replace the board, call me sentimental. Anyway, he put a sound post in it so I could play it for my grandma once, it sounds awesome the way it is, and I have a modern italian worth 3k that I would consider less. So, I need to know how to pull the back off, blend the botton in with the back so it wont break the neck when tentioned, and reseal and repair cracks. I was thinking I could get an old antique from craogslist to practice on, but I dont know where to start, not like you can go to the luthier store to buy books and supplies lol. Wow.. it sounds like a lovely treasure. Good luck and congratulations. How truly exciting. I can't answer your questions on repair, but I am sure someone here can. I have no idea how to repair things and would be too scared to do it myself. Just wanted to say congrats and this thread needs photos! Stupid me, didn't take any while I still had it. Ill try to get some next time I am over there. hey @risk, I know there was a similar thread about learning repairs here somewhere. I know at just a glance i found several well reviewed books on amazon on repairing the violin. You might start there? and i do believe you can pick up some "cheaper" tools through amazon as well....or maybe just a casual browse through the internet. At least the books might help guide you through it or give you an idea of what needs to be done. Have you talked to any of the local luthiers, besides the one you appraised it though? sometimes they will help teach how to do some basic work...and since you're helping maybe even a discount. I agree with getting some violins to practice on...don't wanna mess up the family heirloom first go. I wish you the best of luck! keep us informed on your progress!!! It would be fascinating to see the work! There are some good books available for learning this stuff. Perhaps it's easier to get a hold of a new cheap $60 Mendini to experiment with instead. Ill definitely have to look in to the mendini. The biggest concern is the back and button. The luthier said it had to be blended in with the button for strength and not to play it until then as it might snap. Ill definitely look into working with a luthier, maybe I can trade out help for help. The one I took it to originally already has an apprentice of sorts but there are a few other reputable ones in town. The back does not have to be removed to set the button on the neck. Glue can be injected in and the neck clamped. If the entire neck is loose remove the neck and reglue it. If you don't want to replace the fingerboard it may have enough left on it to be planed. Knock off the nut by sharply rapping it toward the pegs and the plane the fingerboard. The problem with removing the back is it is very hard to get it back exactly where it was. Clamps for the back are not a problem. I make them from thread spools with felt on one end and long carriage bolts with wing nuts. Make sure to use only hide glue and not the stuff you get in a tube. 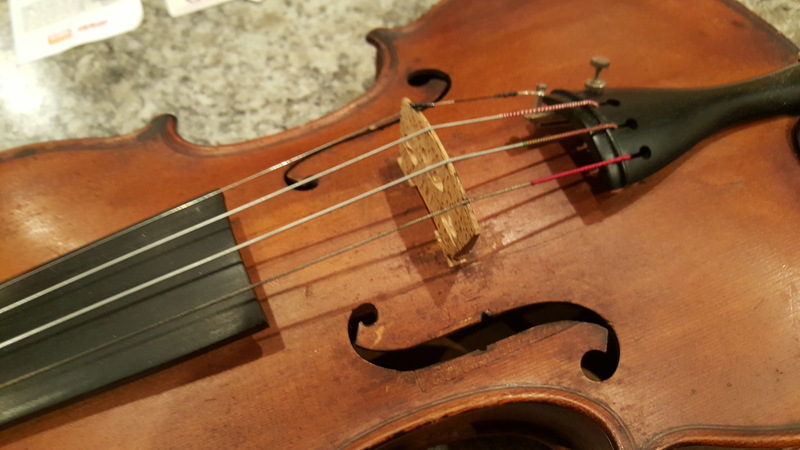 I strongly suggest you acquire the assistance of a qualified Luthier to help you with a project like that, on a $60 fiddle, no big deal, on a $3K violin, "Slap your hands!" for thinking you are qualified to make it better. In fact you may from just not knowing any better, lessen then value of it by trying to make any repairs. If you don't care how it turns out or how much you decrease the value and hurt the sound, then have at it. 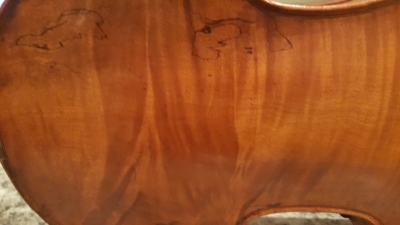 I have been studying with a 25 yr Luthier on and off now for about 3 years and he still has doubts about me tackling a body separation and reglue alone. He's retiring in about 5 years and I don't know if he thinks I might consider taking over his little shop or not. I doubt that I would. I do just about everything else by myself though and I'm not a beginner as I have many decades of hand crafting expertise under my belt. I have repaired a few of my own violins but on the oldest and most valuable one, I got help to make sure I didn't screw up, as you only get one chance quite often to do it right or fail. Octave Ray here ... "Consequence of Error" is the guiding principle here. Can you handle the consequences attendant to messing up a family heirloom. 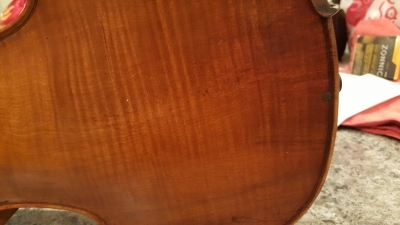 I have done a top-off repair of a violin given to me free .... little consequence if I messed up. I did a top-off and back-off repair to a fiddle that had a manufacturing failure and had been replaced by the manufacturer leaving the failure with me rather than pay return postage .... no one would be out any $ if I messed up. I did mess up in not getting the back reinstalled with an even overhang around the edge of the violin. I think it plays alright but would you likely buy a violin that had a variable width edge and looked "off". Best case I payed $125 for an unplayable bowl-back mandolin, made the appropriate repairs costing nearly as much as the purchase so I have spent maybe $250 to have a playable BBMandolin that might only sell for $300. Consequence of error low and all born by me. 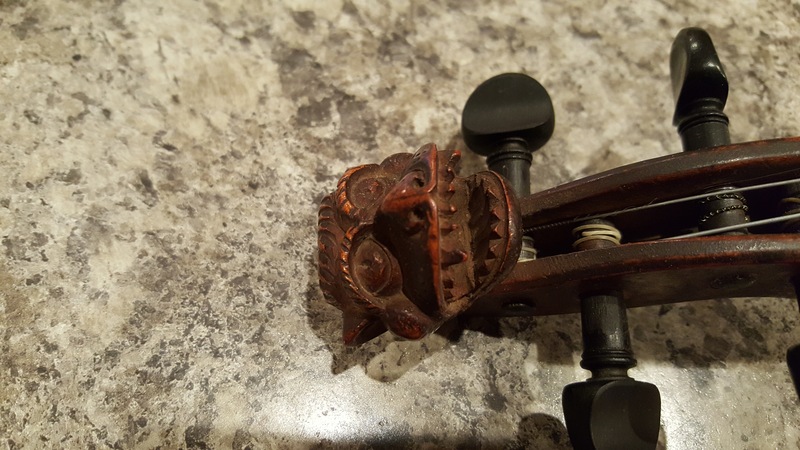 Get a couple of detailed estimates of work required to restore your violin to safe playable condition and see if you can offset costs with some sort of labour exchange. Well, you don't know what you don't know. Ill leave it to the luthier. Seeing they charge decent money for simple things I figured it might just be a more tedious job, but having looked into it and getting advice here, its over my head. But now im motivated to install a soundpost, tailpeice, pegs strings and all the other stuff on my other grandmas violin lol. Once I figure out where to get parts n pcs ill post up pics. 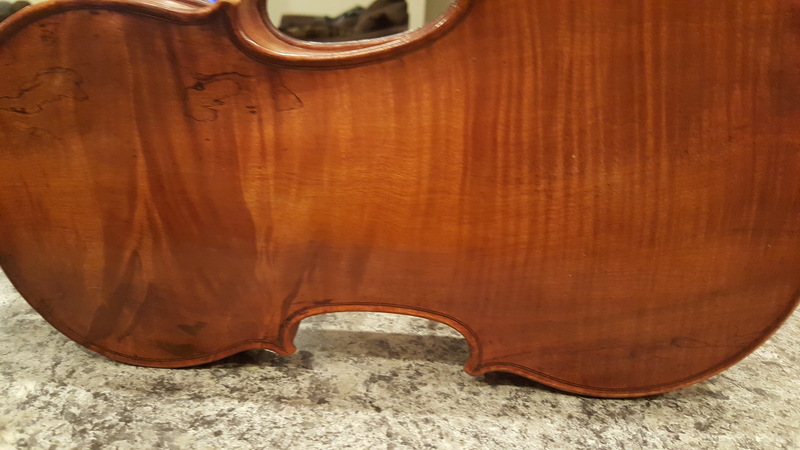 Its just an old 30's slavik violin that shouldnt need anything too serious. Replacing a sound post is the easy part. getting the tension on it at that sweet spot, now that is the challenge. Yes, and that goes hand in hand with having the right length for the sweet spot and a perfect connection both on the top and bottom. Here it is, going to take it to another shop to get repairs priced. I played it tonight briefly and it sounds like a 100 plus violin I tried. If you have any info it is appreciated. There is no labels inside, it was likely purchased new in France late 1700s to early 1800s. Since it will probably be a while before you inherit it, why not set up a small savings account right now. Have $20 a paycheck shunted into it when your check hits the bank. It's lovely by the way. LOL, Thanks. We'll have to wait for 22222 now.